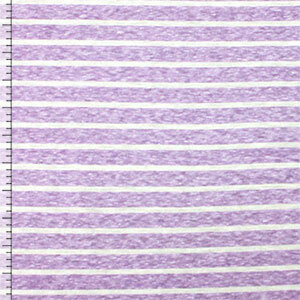 Season perfect light lilac purple and white tri blend stripes knit. Fabric is soft with a nice drape, small stretch, light to mid weight. Color stripe measures 1/2", white smaller stripe measures 1/8"+ (see image for scale). 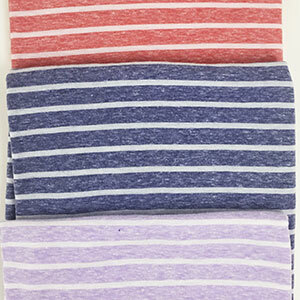 A versatile fabric that is great for many uses!